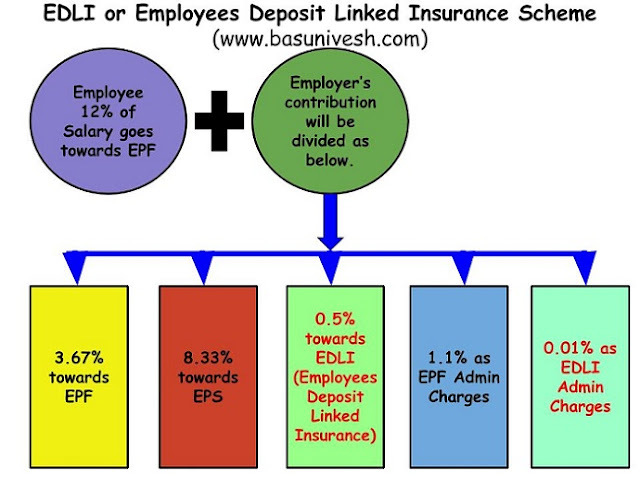 The premium EDLI Employees Deposit Linked Insurance Scheme..! of Rs.2.5 lakh to Rs.6 lakh!! Now EPF offers Life Insurance of Rs.2.5 lakh to Rs.6 lakh!! Earlier the limit of minimum insurance benefit was Rs.1.5 lakh and the maximum was Rs.6 lakh. Many of the salaried unaware this part that their EPF also offers insurance coverage of up to Rs.6 lakh.